The Portuguese manager was understandably frustrated with his team not taking enough chances on goal and praised the efforts of Eden Hazard with the way he has changed his style of play from before. The Belgian tried really hard to open up the opposition defense and try to score but wasn’t successful as a result of a resilient defense from Stock. ‘After half an hour we should have been winning 3-0 or 4-0 and we weren’t,’ said the Portuguese. ‘When you play so well and it’s so easy, you find spaces and the three players behind the striker, Hazard , Mata and Schurrle, are playing so well and creating so much, you have to kill the game. Normally you kill the game but we didn’t. This has been the main reflection of Jose Mourinho after the defeat which should have been an easy win and three points to chase the leading Arsenal side in the table. Instead, we are trailing with four points in 2nd with just a goal difference over 3rd placed Liverpool. The Special also went on to compare today’s main problem of the team with similar games from this past season so far. Jose Mourinho also praised his 3 attacking players behind the striker for their efforts of creating chances for the team but, lamented not taking enough chances and capitalizing to score as a problem we have been suffering for many times this season. Those were some true reflections of the mistakes we committed in the game that made as suffer in an important period in the premier league which is the December fixtures. We will see how the league table will shape up after Arsenal’s game tomorrow against Everton. We have seen Manchester united lose at home to Newcastle just after a day Mourinho said we can’t count out the red devils out of title chances. But, it’s been two losses in two consecutive home games for Moyes’ men at Old Trafford while Man City drew 1-1 away at Southampton. We now look forward to the midweek Champions league game against Steaua Bucharesti to cement our first spot in the group after last round’s qualification guarantee. Jose u ar right.i was so sad watching ramires with his mis & hit style.we playd so well in the 1st half & our failure 2 capitalise on our 1st half dominance cost us 3points.this defence needs 2 wake up.brana & cech what has happend 2 ur consistency.rami am ur fan,but u faild me 2day. @emile10, this is the truth reality! 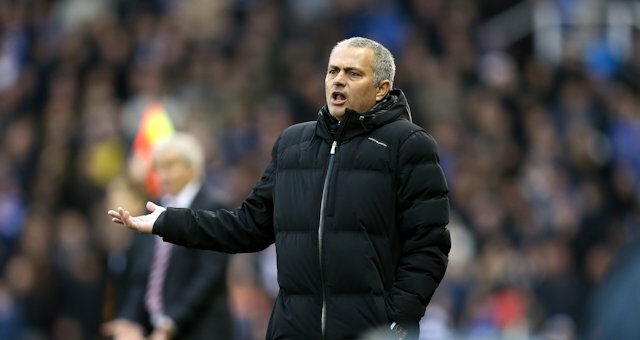 mou is not a magician: if the strikers cannot score goals, what can mou do? Yeah that’s true,we should have been 3-0 or 4-0 but what of the useless substitution on the part of Mourinho himself?Why on earth did he have to substitute both Mikel and Schurrle that game?Is it must for Lampard and Eto’o to play in that game?It’s very true that we need to attack and we have to defend at the same time!Mou’s really killing our game.In fact,he shouldnt have come back to the stamford bridge for the 2nd time.Its the biggest mistake by ROMAN! Mourinho knows exactly what he is doing, he will definitely get a good striker + a defender in January. But the truth is we are giving away opportunities to oppositions by not scoring enough goals thereby attacking us and putting pressure on our defenders and if that continues it makes you vulnerable no matter how good a defender you are. If we are converting our chances by scoring up to 3 goals in the 1st half, no team will be able to survive that against us. What is this blind fuss about strikers …? the last time I checked there’s no magician on the scout list to soothe this undying hunger for CF. esp in today’s Chelsea fc. Otherwise I’m keeping my fingers crossed to here from the same set of critics after another Striker have been traded to the Bridge. For those fans who luv to point fingers generally at players; if u want to accord blames please watch the match with a level head, because what I saw was not entirely a striker problem. What I saw was players displaying good passes but lacking the final ball ( attackers in general). Hazard had a nice outing too but his passing and movement is sometimes confusing to other AMF’s. Question is: what happened to a Chelsea solid defense known for resilience in salvaging points. it’s really a top concern. it was possible to keep it at 0-2 or worse case scenario at 1-2. When you play Stoke, you gotta be defensively balanced while attacking. watch out for encounter with Arsenal & Liverpool respectively. it could be a turning point if articulated. @ pearl,dont blame our attacking trio.torres flopped big time.how many chance did stoke create 4 crouch 2 score.didnt u see the predator finish of suares & kunaguero.to me torres is afraid 2 mis chances so he hides behind defenders,even when they manage 2 pick him with a pass the way he wil react with the ball at his feet wil show that he is not ready 2 score.i hope he wii change.